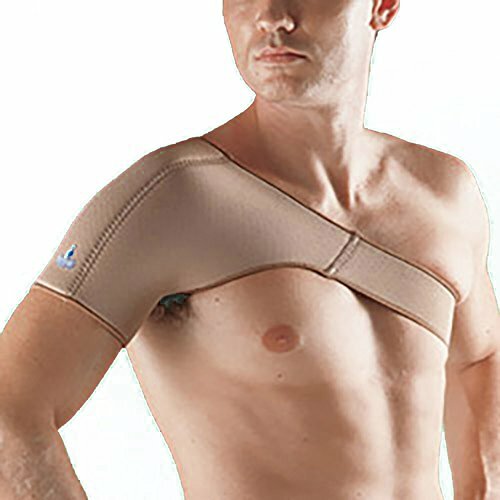 This brace best fits individuals whose size is in the middle of the size range. To get an optimal fit, we recommend ordering the next size up if your size is above the mid-point of the size range. To assess, measure around the chest: S: 32 3/4 - 36 3/4 inches (83.2 - 93.3 cm); M: 36 3/4 - 40 3/4 inches (93.3 - 103.5 cm); L: 40 3/4 - 44 3/4 inches (103.5 - 113.7 cm); XL: 44 3/4 - 49 3/4 inches (113.7 - 126.4 cm). OPPO Medical offers the most extensive range of functional supports with uncompromising quality, a keen understanding of the rehabilitation market and a passion for innovation. For your continued health, we are expanding the frontiers of orthopedic medicine with innovative materials and designs and a holistic approach to wellness. If you have any questions about this product by Oppo Medical, contact us by completing and submitting the form below. If you are looking for a specif part number, please include it with your message.